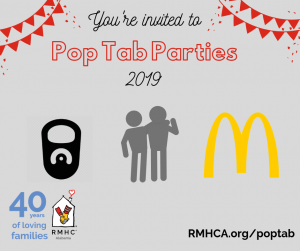 Since 2010, Ronald McDonald House Charities of Alabama (RMHCA) has partnered with Hand in Paw to provide comfort to families in need of stress relief. 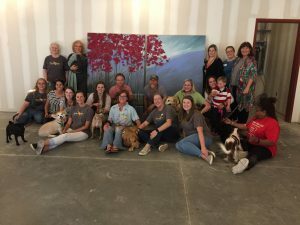 To celebrate that partnership, the staff from each nonprofit gathered at the Ronald McDonald House for a special painting session. 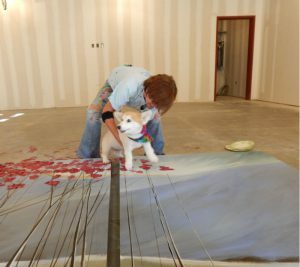 “People love to see their four-legged family members make art. They cherish the piece because it recalls that experience,” Andrew says. The finished piece will hang in the Ronald McDonald House’s new multi-purpose room, where family programs, including visits from Hand in Paw Therapy Teams, will take place. Click here for more photos from the painting session. You can watch a Facebook Live of the session below and our watch featured story on WBRC FOX6 News!